Original wash brush diameter of only about 0.05 thinner than the body's own hair. Can penetrate the pores, the pores to remove dirt. Each brush has a genuine 100,000 pieces of bristles, super-fine brush, super soft! Genuine wash brushes are specially treated fine soft hair, sensitive eye can also be used. Anti goods hair is very rough, facial skin damage, but instead only 3D ultrasonic vibrations. Imitation prolonged use can cause facial injury relaxation Oh! Comrades polish eye! 2.This face cleaning brush with beautiful plastic body and soft brush. 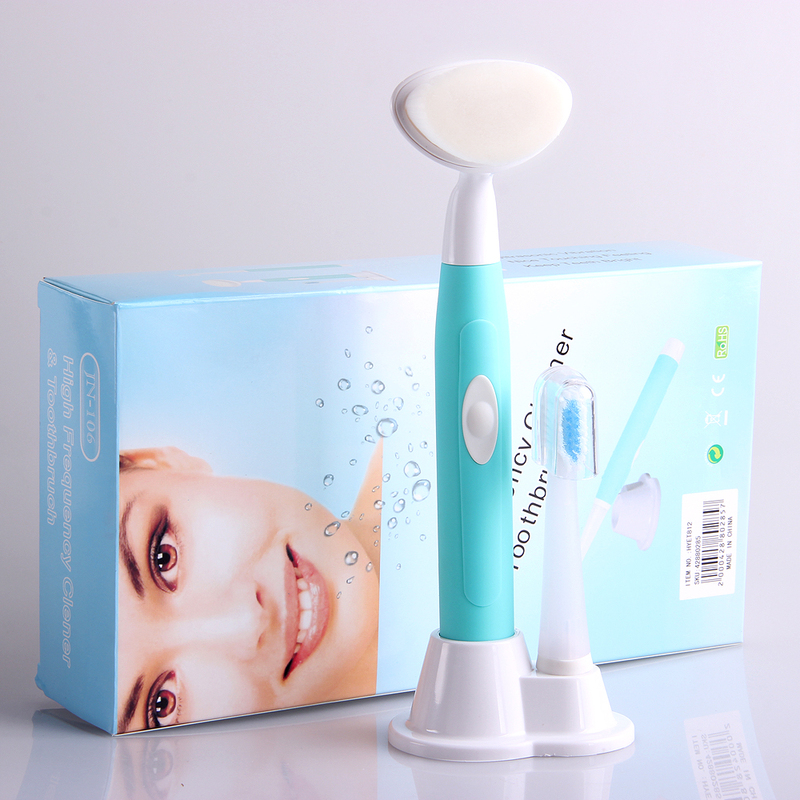 3.This soft brush can effectively clear up facial blackheads and oils with facial cleanser. 4.Compact size and lightweight for easily and conveniently to carry. 5. Easy massage and clean skin. 6.Soft gently exfoliate facial skin, use with your favorite cleanser.